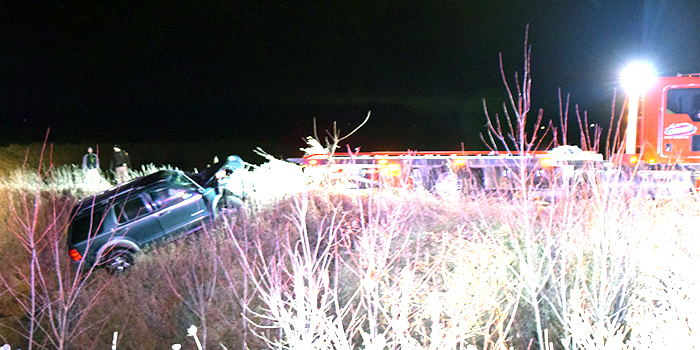 The SUV-style vehicle suffered from extensive front-end damage after being removed from the ditch. 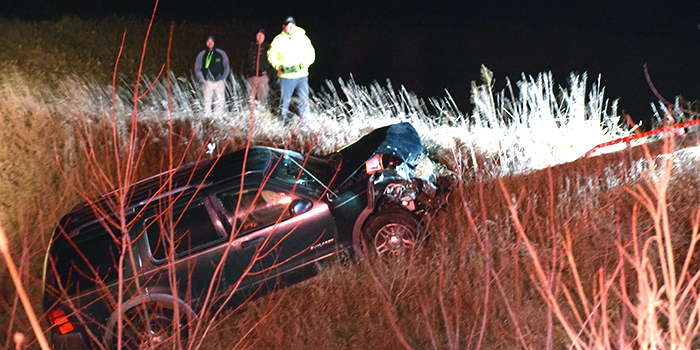 WARSAW — A single-vehicle accident occurred just before midnight tonight, Dec. 29, on Warsaw Oswego Road, Warsaw. The vehicle left the roadway and came to rest in a ditch. Dispatch reports estimated that the ditch was about 20 feet deep. This made extraction of the vehicle’s two occupants necessary. An officer on scene advised that both occupants suffered injuries and were transported to hospitals via Lutheran EMS. Also on the scene to assist was Plain Township Fire Department and Kosciusko County Sheriff’s Department. Dispatch estimated that the ditch was about 20-feet deep, which made it a challenge to remove the vehicle.